From Our Hearts: Truly first class. Premiere Catering is always professional, dressed appropriately and most importantly, their food is incredible. Always a winner with so many options. You’ll surely find what you love with them. How They Stand Out: We specialize in our on-site cooking and entrees being finished right in front of your guests. Piece of Advice: Choose your vendors carefully. You need an experienced company that knows the questions to ask to cover all of the necessary details of your wedding. From Their Hearts: The Water Oasis is great. It’s a well thought out venue and it keeps getting better every year. What a Deal! : We have come up with a large selection of in house desserts. 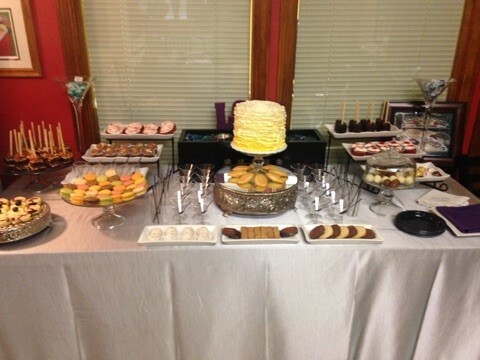 We are currently offering a 10% discount on our Dessert Tables.